Around the back is a similar story. The taillights are realistic as are the gas reservoir cap, the handles for the trunk lid and the hinges for the trunk lid. The chrome bumper and the small exhaust pipe complete the picture. The wheels are also spot on. They are small and thin with chromed hub caps. The caps can be removed which will reveal 4 tiny wheel nuts which you can unscrew with the provided realistic tools. 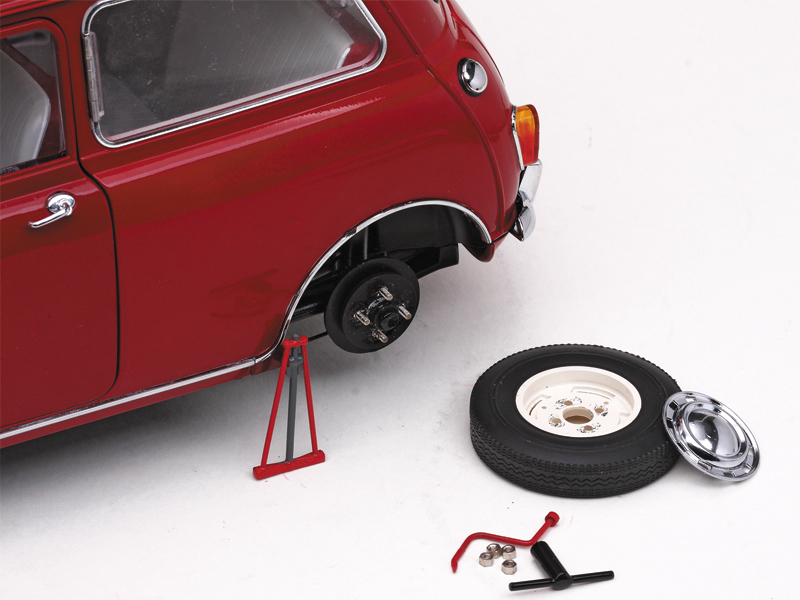 Behind the wheels you will see the drum brakes and the fully working realistic suspension. 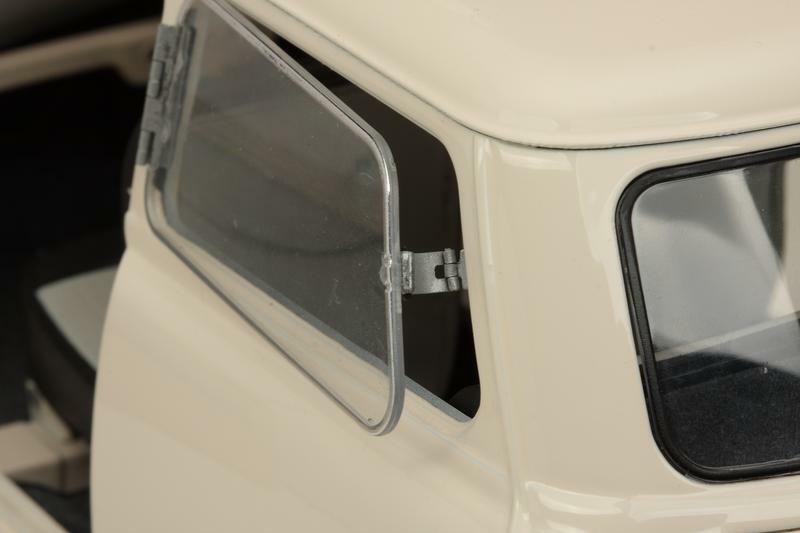 Other neat features around the exterior of the car are the opening back side windows which are also mounted on realistic hinges and the sliding front side windows. 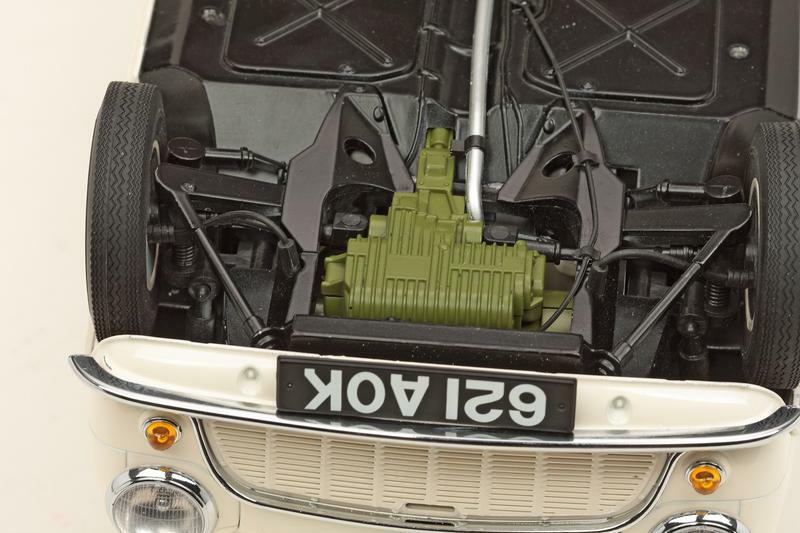 Open the bonnet and you will be greeted by a superb engine bay complete with wiring and all the necessary components. The only slight disappointment is the use of regular dog-leg hinges for the lid, but it something you can live with. The real car has them too, but they are much smaller and thinner. Turn the model around and open the trunk. 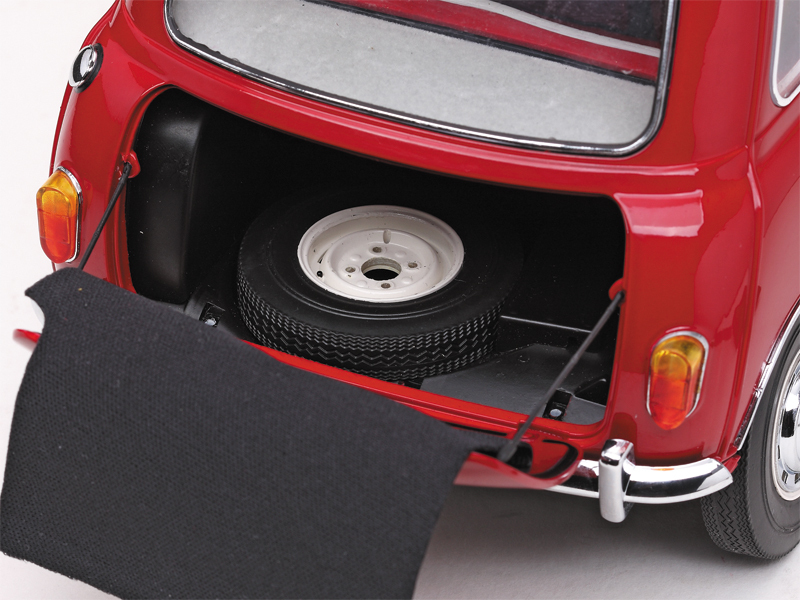 You will see a carpeted floor which you can pull to reveal the spare wheel and toolbox. Here Sun Star has used realistic hinges and there’s even “rubbery” seal around the edge of the trunk lid. Let’s open the doors and take a look at the interior. The doors are also on hinges true to the original car and open easily. Inside you will find a fully carpeted interior and superbly modeled seats. The dashboard is also beautifully crafted with the instrument panel and steering wheel being the centerpieces. The underside of the model is also impressive. You will be able to check out in details the entire suspension even with brake lines, fuel lines and etc. The attention to detail is as amazing as on the rest of the model. 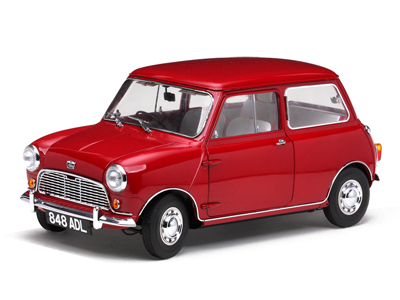 Sun Star offers several versions of the Mini which vary in colors and a few other small bits and pieces. They all will please you and you can be sure you will not be disappointed. 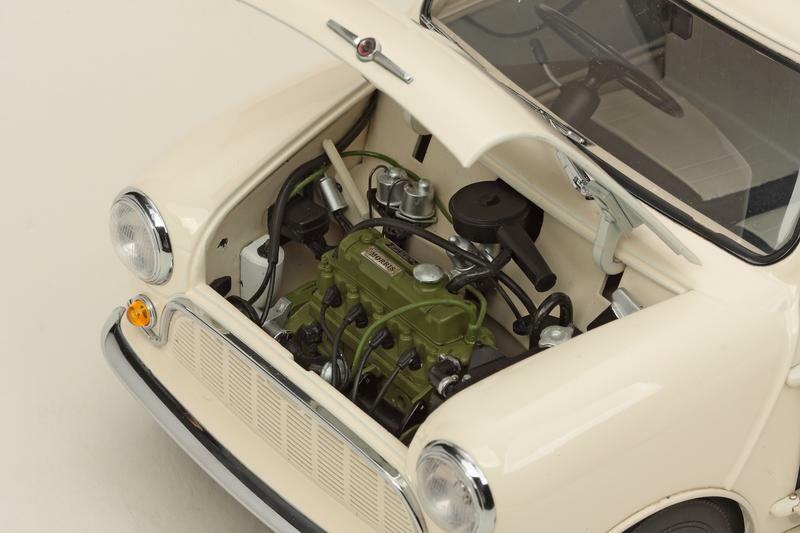 If you like the Mini Cooper and/or models with lots of details and realism, then this one is a must for your diecast garage.